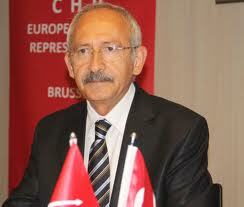 On 1st of June, the Head of the EU Delegation to Turkey, Ambassador Hansjoerg Haber, and Heads of Missions of EU Member States present in Turkey came together with the leader of the main opposition Cumhuriyet Halk Partisi (CHP) Mr Kemal Kılıçdaroğlu over a working breakfast hosted by CHP. On this occasion, Mr Kılıçdaroğlu shared his party’s perspective on EU-Turkey relations, the visa liberalisation dialogue and the cooperation agreement on irregular migration/refugees between the EU and Turkey. The discussion further focused on current political developments in the county and the foreign policy of Turkey.